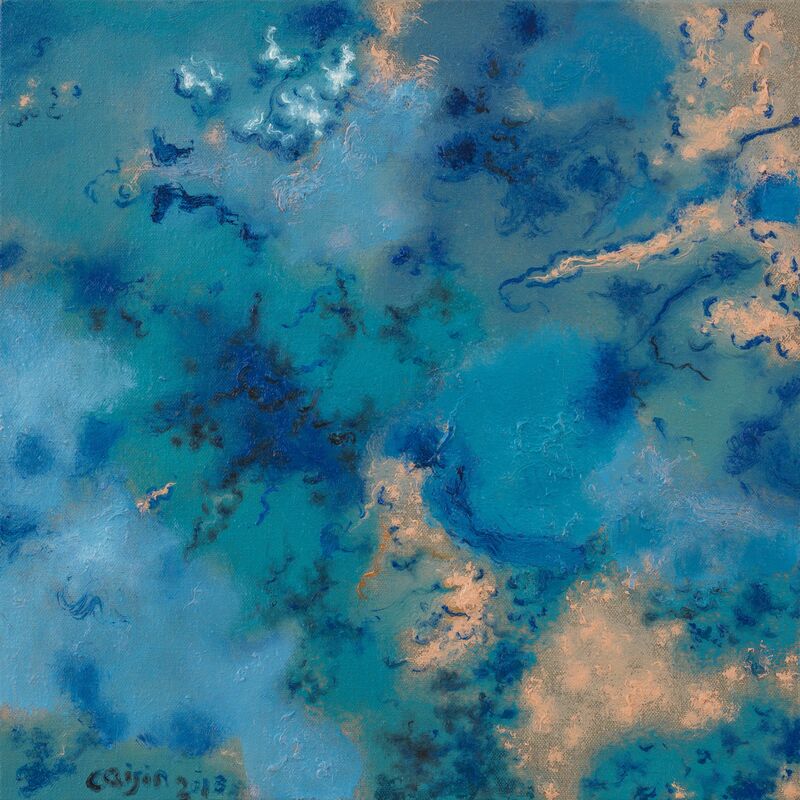 Chambers Fine Art is pleased to announce the opening on April 17, 2014 of Return to the Source by Cai Jin. This exhibition of works from her Landscape series will be her first at Chambers Fine Art in New York. Widely recognized as one of the most distinctive painters of her generation, Cai Jin first attracted critical attention in the early 1990s with her paintings of meirenjiao (translated as “Banana Plant”). 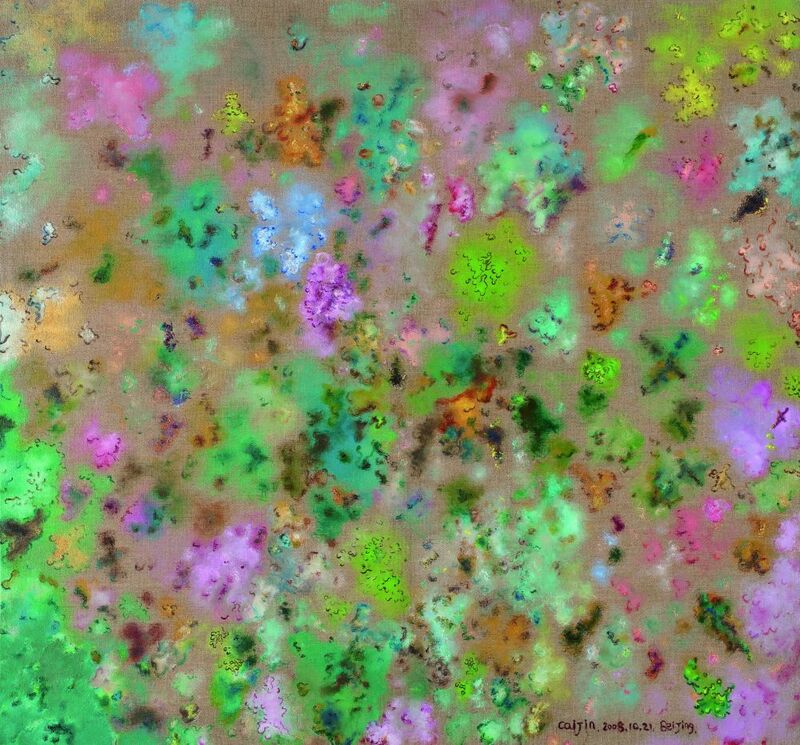 Inspired by a dying plant that she saw in her native Anhui province in 1990, she has painted close to 400 variations on this theme between 1991 and the present day. This continued throughout her stay in New York between 1997 and 2007, a period that was not always easy for her. Lacking proficiency in English, establishing a career in an alien environment, giving birth to a child and going through a separation all left their mark on her work which was expressive of a heightened emotional state. As one of the few Chinese female artists to have emerged during this period, she produced a highly personal body of work that differed widely in its thematic content from the politically oriented oil painting of her male contemporaries that gained such a wide following. Even at a time, however, when the lush vegetation of the banana plant mostly filled the surface of the canvas, there were occasional glimpses of the background, patterned and textured surfaces that gave rise to several small paintings that she referred to as landscapes. In 2003, while still living in New York, she painted a single larger version of this theme. Since 2008 landscapes have largely replaced the meirenjiao as the focus of her attention. Varying greatly in scale and in palette, these paintings are not landscapes in the conventional sense. They have been described as “landscapes of the mind, the result of countless hours of wandering on the surface of the canvas wherever her intuitive grasp of the medium guides her. These journeys without destination are like long walks through imaginary landscapes, an activity that causes her a great deal of personal happiness. She loses herself in her painting in a totally agreeable way, the finished works reflecting a new level of psychic satisfaction that mirrors her new-found self-confidence and satisfaction with life as it is.” The landscapes are all characterized by a painterly quality that is rare in China today. Contrasting with the expansive landscapes is a suite of drawings of pears dating from 2012. Whereas the landscapes are expansive and festive in feeling, the drawings are tightly controlled, the forms of the fruit emerging from countless layers of small, circular strokes. 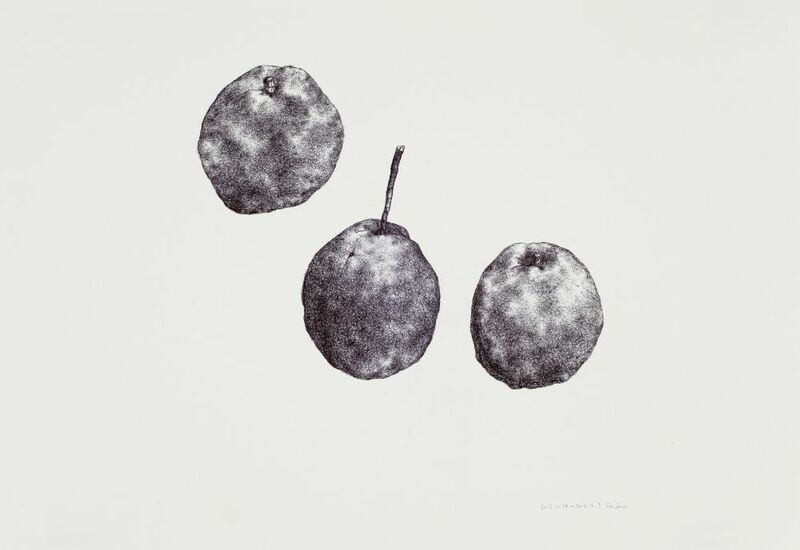 Representing two aspects of her art, the oil paintings and works on paper are nonetheless united by the distinctive movement of her hand which can be utilized to create intense studies of the real world (the drawings of fruit) and evocative landscapes that incite an imaginative response on the part of the viewer.